France’s foreign ministry on Thursday recalled its ambassador to Rome for consultations over a series of “provocations” from Italy’s two deputy prime ministers, Luigi Di Maio of the anti-establishment Five Star Movement (M5S) and Matteo Salvini of the far-right League. “For several months France has been the subject of repeated accusations, unfounded attacks and outlandish claims,” the ministry said in a statement. The ministry added that the alleged attacks were “unprecedented since the end of [World War II]”. The move came a day after France condemned Di Maio for his “unacceptable” meeting with leaders of the French anti-government “yellow vest” movement earlier this week. Following the meeting, Di Maio tweeted that “the winds of change have crossed the Alps”. Di Maio and Salvini, who formed a populist coalition government last year, had previously expressed their support for “yellow vest” protesters, who are against French President Emmanuel Macron’s policies and governing style. 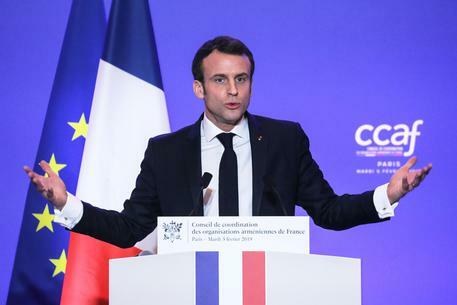 The two deputy ministers have also repeatedly criticised Macron, who has in turn targeted their eurosceptic movements ahead of high-stakes European Parliament elections in May. Salvini on Thursday said the Italian government hopes to find a solution to the issues which have caused heightened tensions between the two countries. “We don’t want to row with anyone,” he said in a statement. However, Salvini said France needs to address three “fundamental” demands: it must stop pushing migrants back into Italy, it must put an end to lengthy border checks blocking traffic at the frontier, and it must hand over around 15 Italian leftist militants who have taken refuge in the country in recent decades.